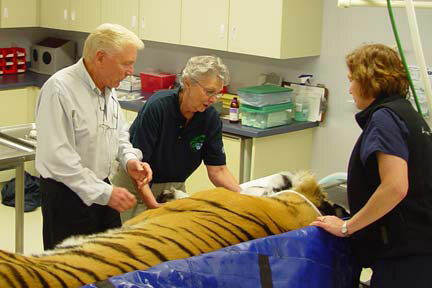 At Lake Superior Zoo in Duluth, MN Ussuri, a recently obtained 3-year old Siberian Tiger, had a fractured canine. 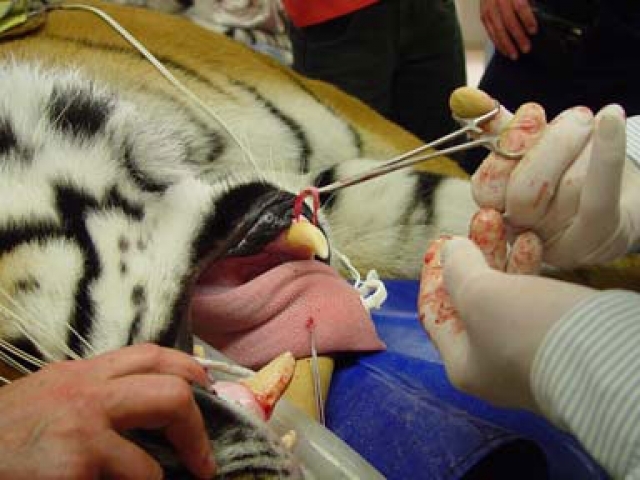 Noting that the pulp cavity was exposed, emergency vet Louise Beyea, DVM contacted PEIVDF through the web site after a friend of Dr. Beyea’s who knew of the foundation’s work suggested we might be able to help. 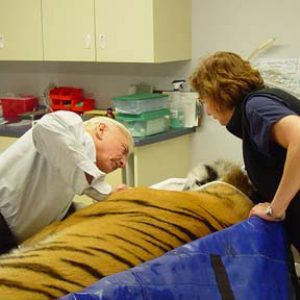 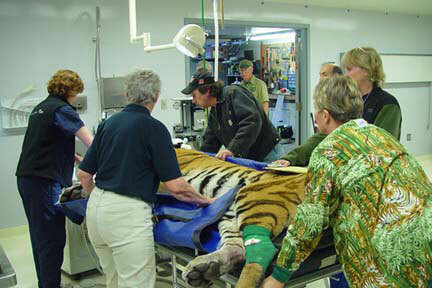 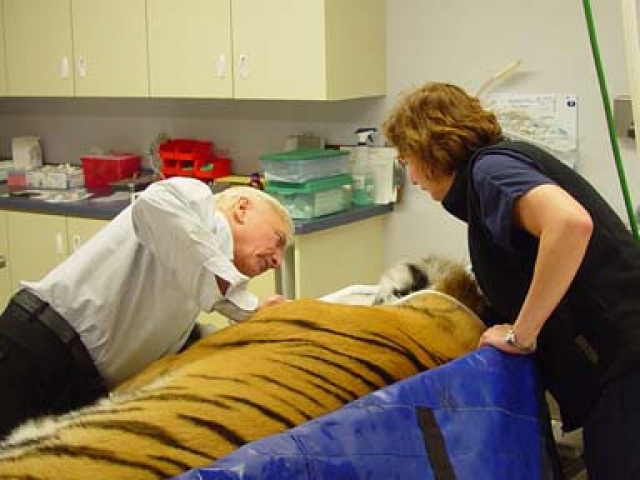 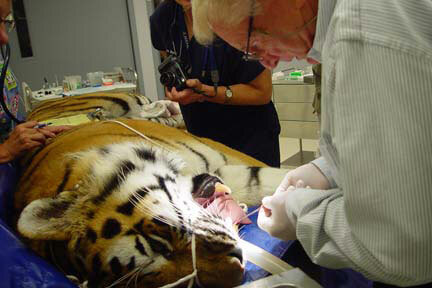 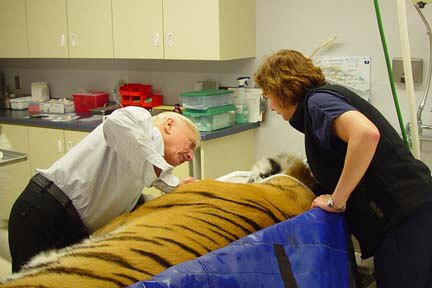 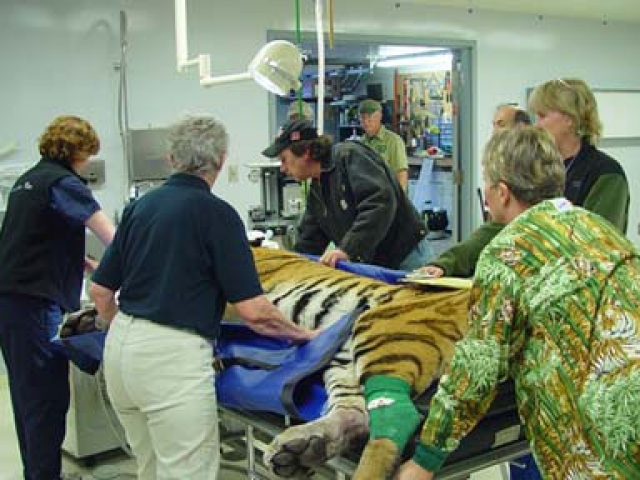 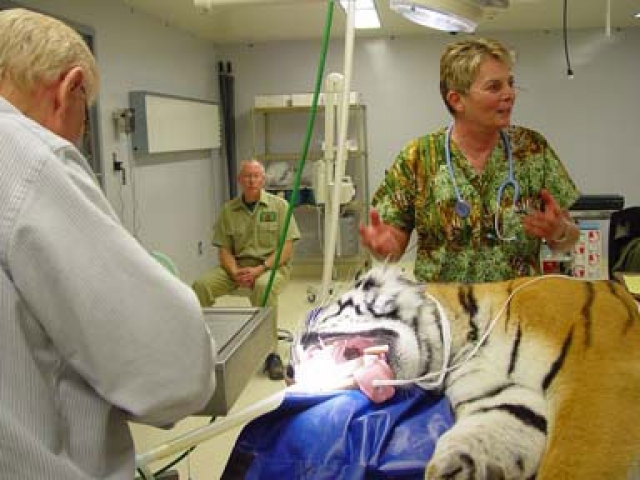 As root canal therapy on large carnivores requires specialized skills and equipment, Dr. Emily traveled to the zoo in October 2008 to perform the necessary procedure. 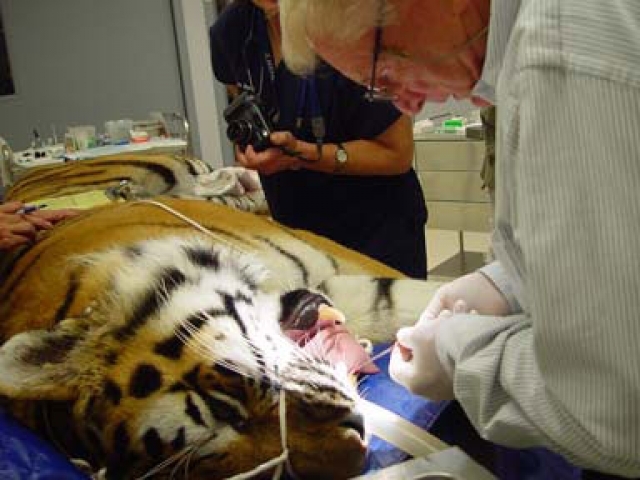 As the zoo did not have the funds to hire a veterinary dentist with exotic experience, they were a perfect candidate for a PEIVDF rescue operation. 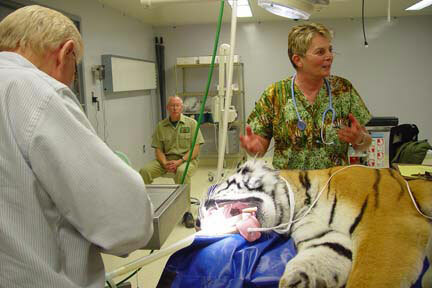 The veterinary facilities at the zoo were excellent (e.g., operating theatre with anesthesia, etc. 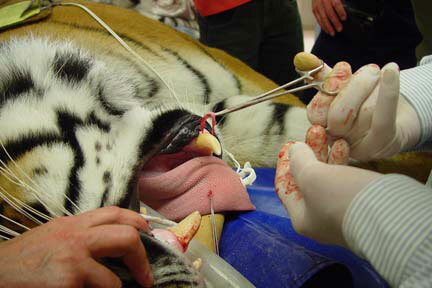 ), enabling Dr. Emily to perform the root canal therapy on the left maxillary canine #204 in non-battlefield conditions. 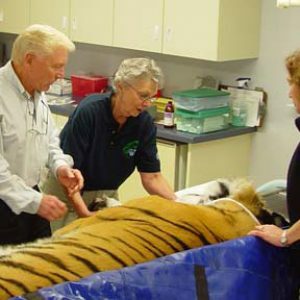 Dr. Beyea wrote that Ussuri’s handlers report that he is now even friskier than usual, certain he was in chronic pain before his tooth was repaired. 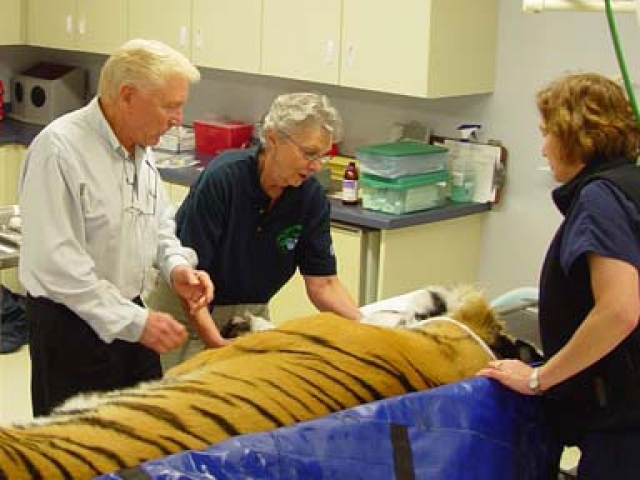 To read excerpts from Dr. Beyea’s thank you letter to the foundation, click HERE.